When I first came to Barcelona, I was surprised to learn that Catalunya and England share a patron Saint. 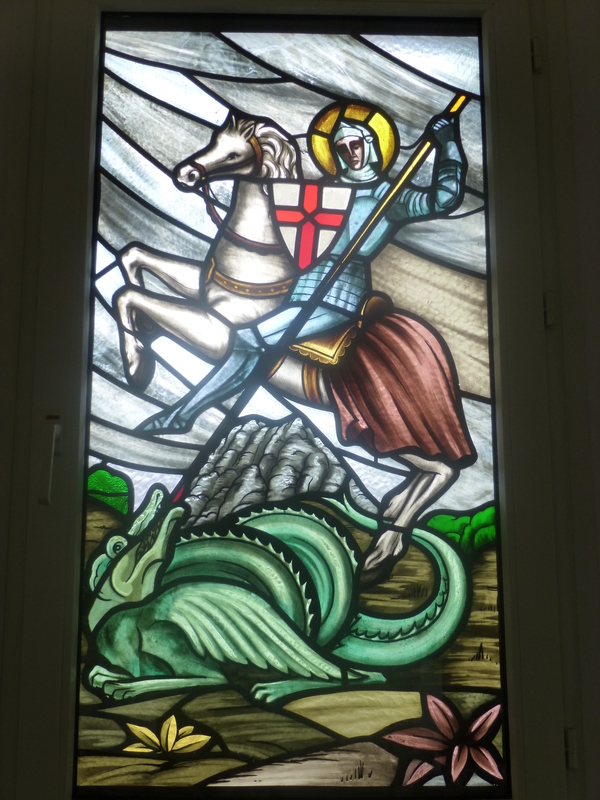 St George to the English, and Sant Jordi to the Catalans, the story of the dragon slaying saint is celebrated on the same day in England & Catalunya, on April 23rd. Whereas in England we don’t really mark the day with anything special (preferring to jump on the back of the Irish for Paddy’s Day) La Diada de Sant Jordi is a really big deal in Catalunya. More important than Valentines Day, St Jordi is the day when lovers and friends share gifts and show their appreciation for one another. The tradition here is for men to give a rose to the special ladies in their lives – wives, girlfriends, daughters, friends & colleagues. And the women in return give books to their special gentleman. According to the legend of Sant Jordi, a vile dragon terrorised Montblanc (a village in Catalonia) and devoured their livestock. As a way to appease the beast, the villagers decided to draw lots to sacrifice one person from the village each day to stop the dragon from killing them all. One day the lottery selected the King’s daughter, and as she was about to be swallowed by the dragon, up popped Jordi who slew the dragon and saved the princess. Where the dragon’s blood had spilled a rose bush sprang up, from which the valiant Jordi plucked a rose for the princess. April 23rd is the anniversary of his death, and the tradition began where all gentlemen become knights for the day and gift roses to their princesses. 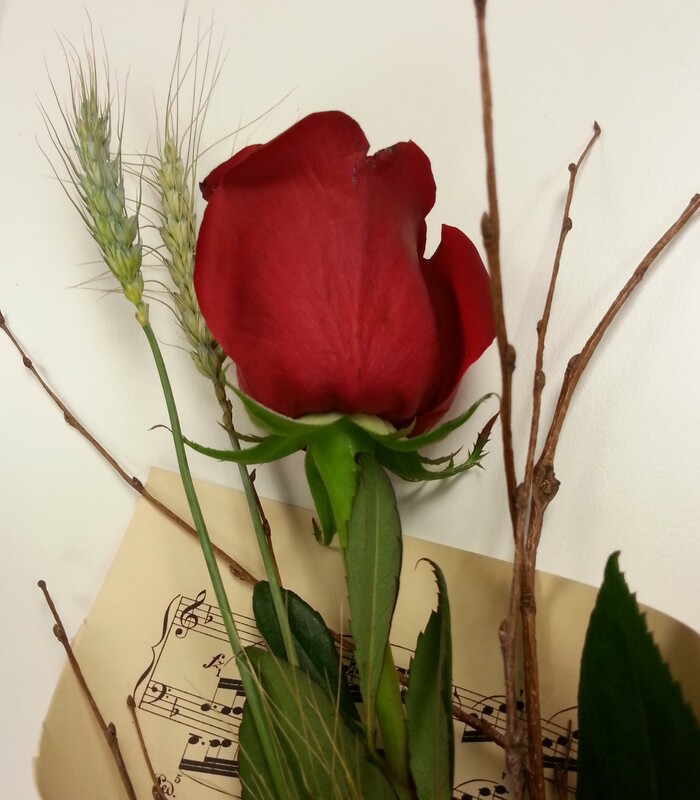 A whopping 6 million roses are sold on Sant Jordi, and great efforts are made to ensure no princess goes without her rose. The tradition of book-giving came later, when April 23rd was chosen as World Book Day, as both Shakespeare & Cervantes are said to have died this date. Although before UNESCO declared April 23rd World Book Day, the Catalans were already giving books to their loved ones – rumour has it that the idea of giving books was first thought up by a spectacularly resourceful publisher, who wanted to give their book sales a little nudge. And they certainly succeeded, with around 20 million euros worth of books being bought on St Jordi’s day in Catalunya! The streets are filled with pop up book stores, and suddenly every street corner in the city has a bucket of roses for sale. The air is filled with the scent of roses, red being most popular and traditional, with a few other colours mixed in – usually wrapped in gold and red ribbon representing the Catalan flag. In Plaça Catalunya any available space is occupied by book sellers, and Catalan authors gather sign their works for the eager locals. If you’re in Barcelona on St Jordi’s day, take the time to buy a gift for your loved one – a rose or a book, and share in the beautiful tradition. 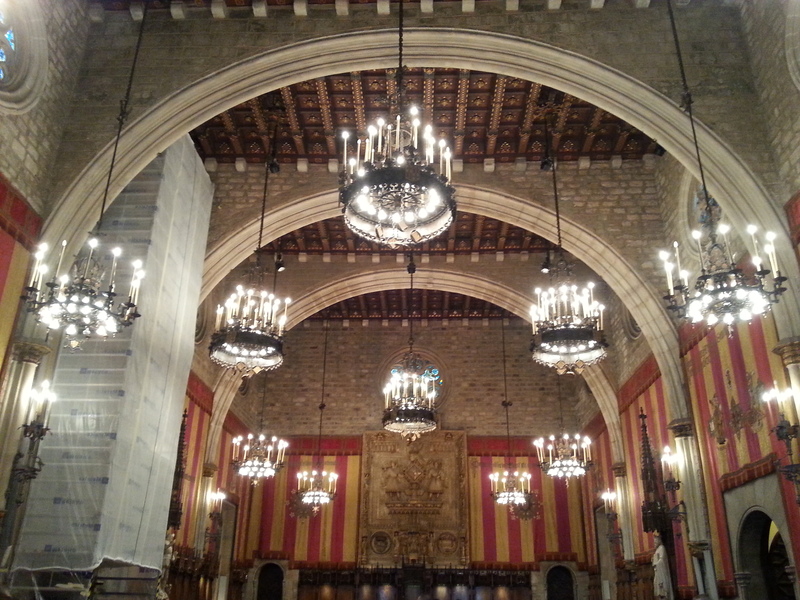 It is also an Open Day at the Town Hall (Ayuntament) of Barcelona, so you can enter the impressive building in Plaça St Jaume for free, and admire the areas that aren’t usually open to the public. The Hospital de Sant Pau also is free to enter on Sant Jordi’s day, so you can explore the stunning example of modernist architecture at your leisure! Read more about my visit to the Hospital de Sant Pau here.